Next Optical is proud to introduce the newest innovation in vision technology. ACUVUE™ OASYS with Transitions™ Light Intelligent Technology™ is the first transition contact Lenses that can sense changing lighting conditions and seamlessly adapt from clear to dark. ACUVUE™ OASYS with Transitions™ is the first and only contact Lenses that can provide soothing vision all-day by adapting to changing lighting conditions. These innovative contact Lenseses use photochromic technology that becomes darker in response to changing light. They activate in less than 60 seconds, then quickly fade from dark to clear when going from outdoors to indoors. In additions, it’s the only Lenses with the highest level of UV-blocking protection. It provides 100 percent protection against UVB rays. ACUVUE™ has spent 30 years enhancing their vision care technology for people all over the world. They stay one step ahead by developing advanced technologies focused on comfort and quality. ACUVUE™ has worked diligently to create contact Lenseses that work as one with your unique eyes, your lifestyle and your vision correction needs. If your eyes are prone to sensitivity, irritation or allergies, ACUVUE™ OASYS with Transitions™ can help you live your life more comfortably. These contact Lenseses help to keep moisture in and irritants out, so your eyes can be more comfortable. Maybe your work means spending hours in front of a computer. Perhaps you’re often exposed to dry, dusty environments. If so, you know how these situations can take a toll on your eyes. 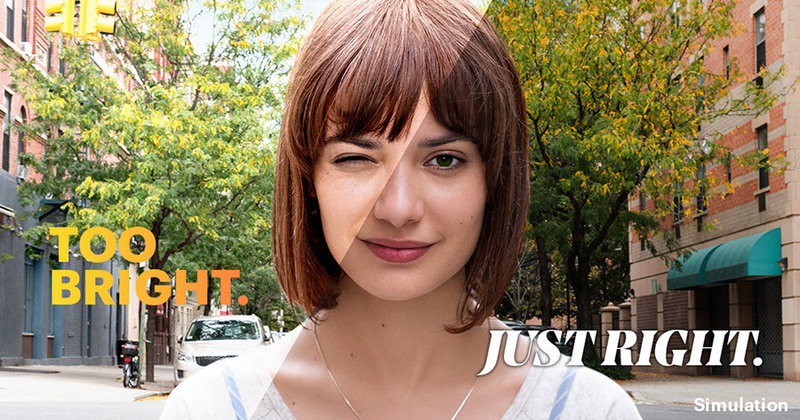 ACUVUE™ OASYS with Transitions™ were created to help keep your eyes comfortable all day long. Enhance the natural beauty of your eyes with Lenseses that add definition and brightness to your eyes. Add sparkle and shine, without giving up your comfort. Many people are looking for Lenseses that will remain comfortable during long days. You can rely on ACUVUE™ OASYS with Transitions™ for comfort hour after hour with minimal Lenses awareness.